University of Minnesota forward Kelly Pannek enjoyed a year that was filled with a historic Olympic gold medal and the celebration that followed. The honors have continued during Pannek’s redshirt senior season as the standout forward was selected fourth overall in the 2018 National Women’s Hockey League (NWHL) Draft, and she’s also in the conversation for the prestigious Patty Kazmaier Award, presented annually to the top women’s college hockey player in the nation. Pannek redshirted her senior season, while spending the year training and competing with the U.S. Women’s National Team. She recorded two assists at the Olympic Games en route to the gold medal. 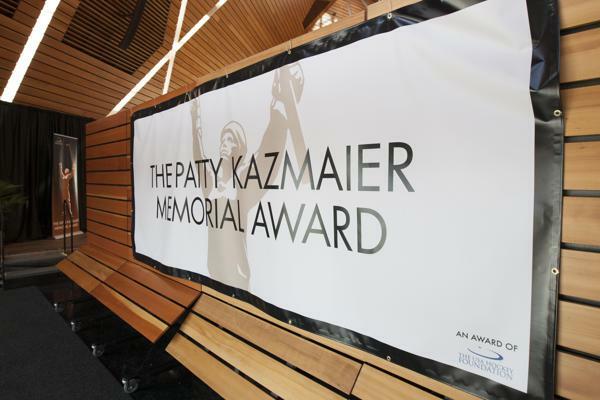 During Pannek’s junior year, her most recent collegiately, she was named a top-10 finalist for the Patty Kazmaier Award. Pannek said the honor is a recognition of the hard work that others sometimes can’t see. She also acknowledged the difficulty of actually winning the award. That’s why Pannek doesn’t worry about the final result, but she appreciates the acknowledgement. Pannek is currently Minnesota’s active career scoring leader as she ranks 10th all-time in school history. She’s sixth in program history in assists, recording her 100th career helper in Minnesota’s season opener. Pannek, who not only helped Team USA to a gold medal at the 2018 Olympic Winter Games, but also the 2018 Four Nations Cup, is serving as the captain this season for the newly-minted No. 1 Golden Gophers. Pannek fires a shot to the net during the 2018 Olympic gold medal game, when Team USA defeated Canada, 3-2, in a shootout. Pannek already has an eye on her future as she was selected in the NWHL draft by her hometown Minnesota Whitecaps. Pannek received an email a day or two prior to the draft, informing of her selection. She was at USA Hockey’s Women’s Winter Training Camp at the time of the draft. The realization of winning an Olympic gold medal is also starting to set in for Pannek as the one-year anniversary of the accomplishment approaches. Story from Red Line Editorial, Inc. Photo courtesy of Eric Miller and Gopher Athletics.